In the green heart of Gargano, in Vieste, just 150 meters from the sea, situated in an oasis of tranquility Villa Soleanna .The newly made apartments, the warm welcome by Bruno and Annarita, the possibility to reach the sea in just a few minutes walk , are the backdrop to our facility and offer a stay of privacy, relaxation and tranquility. The beach and the most beautiful waterfront city served by the most famous and equipped beaches, restaurants, etc. 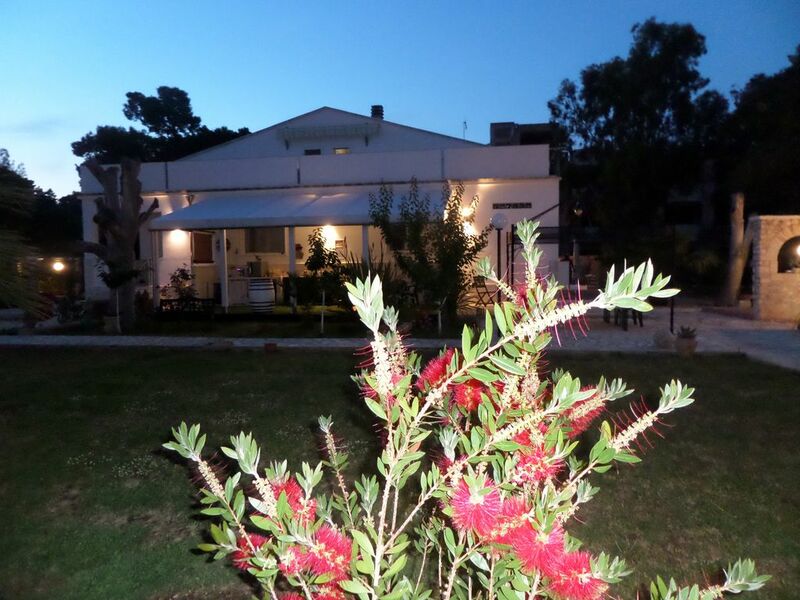 (many of whom, agreement, offer amenities and affordable rates for our guests) .Among our services included: TV, air conditioning, island stone barbecue, coin-operated washing machine, parking, outdoor shower, reservation service trips and excursions to the sea caves of Vieste, the Tremiti islands, etc ... Reservation croissants in the morning at our bars and evening angle House- Restaurant with traditional dishes from Puglia.